PINEVILLE, La. – New Orleans-native Chief Warrant Officer 5 Kim Janneck, the Louisiana National Guard’s command chief warrant officer, will retire after relinquishing responsibility in an official ceremony in New Orleans, Nov. 3. As the ranking warrant officer on the adjutant general’s command team, Janneck advises the adjutant general on all warrant officer issues, policies and initiatives. “Kim has been a trail blazer her entire career. 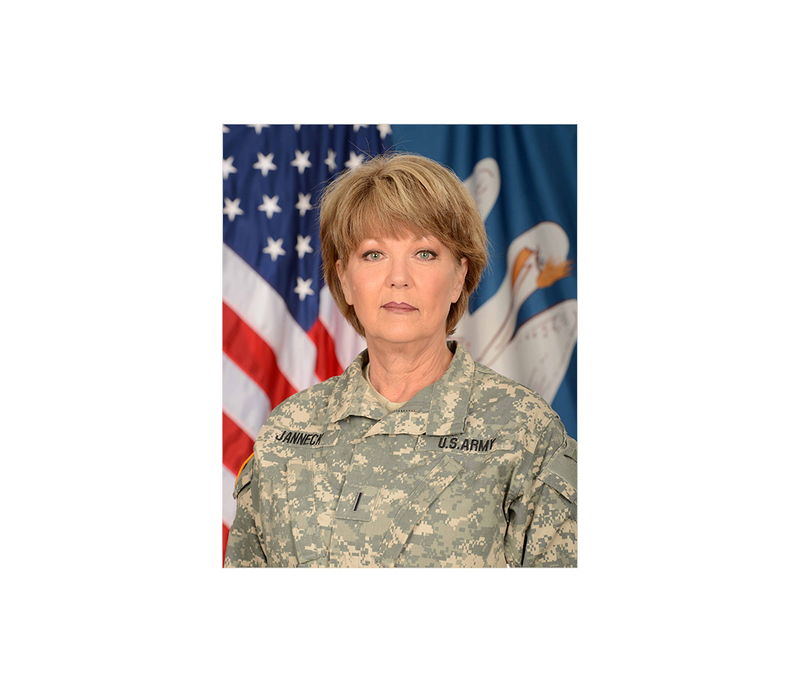 She was one of the first females in the Louisiana National Guard to achieve the rank of Chief Warrant Officer 5, which speaks volumes about her service,” said Maj. Gen. Glenn H. Curtis, adjutant general of the LANG. Janneck began her career as a civilian with the Department of Agriculture in 1973 right out of high school. In 1978 she began working with the Louisiana National Guard as a federal technician, but it wasn’t until 1986 that she finally decided to enlist in the LANG. Janneck will retire with 36 years of federal service and 27 years in the Guard. 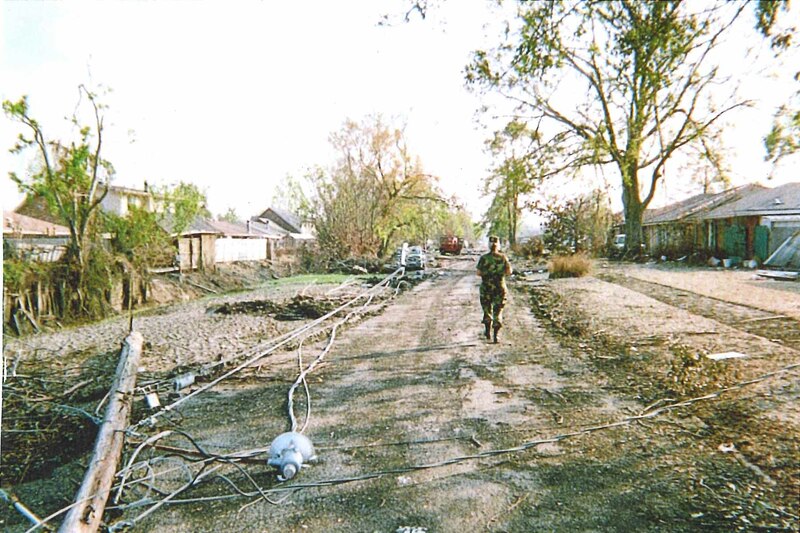 Janneck graduated from basic training at Fort Dix, N.J., in September 1986. Two years later she graduated first on the commandant’s list from the Reserve Component Warrant Officer Entry Course, then as the distinguished honor graduate from the Personnel Officer Warrant Officer Basic Course. Since graduation, she has never looked back. “Kim’s impact on the Guard and the warrant officer corps will be remembered for years to come,” said Curtis. Janneck’s time in the LANG has had a profound impact on her life. She said that the Guard helped her develop her core values, find her leadership style and strengthen her relationships with family and friends. Janneck’s love for the family she found in the military is evident as she described the close bond she shares with members of the National Guard and the warrant officer corps. “I have never seen a tighter group of individuals than the warrant officer corps. Aviators are very tight. Tech warrants are tight, but when you put the whole 200 in a group, we are one corps. It is just amazing to me,” Janneck said. “It is like a family in the family. A long time native of New Orleans, Janneck said the military opened many doors for her to serve her community, her state and her nation. 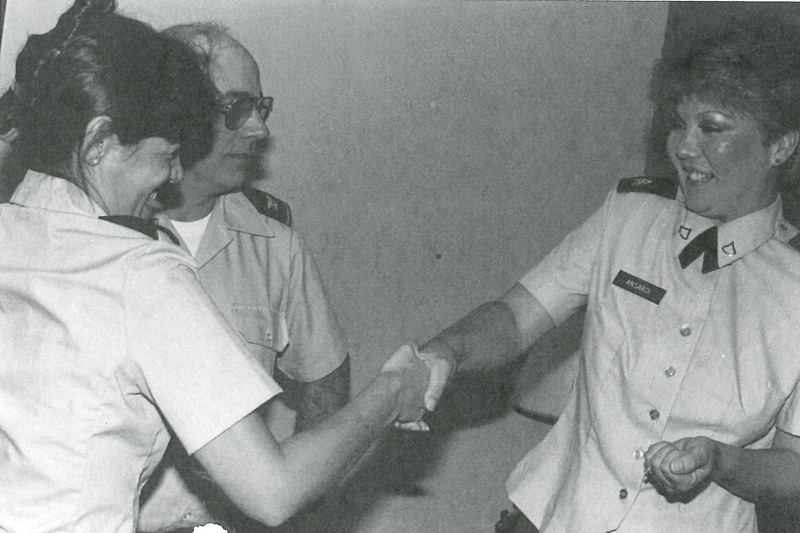 Janneck served in numerous capacities both as a federal technician and in her military assignments. Her military assignments include: Executive Assistant to two Adjutants Generals; Chief, Personnel Records Division, 209th Personnel Services Company; Unit Personnel Technician/Military Personnel Technician, HQ STARC (-), and Budget Officer, HQ STARC (-). Chief Janneck also served as Military Personnel Technician in the Human Resources Division of Personnel, Joint Forces Headquarters. Prior to her appointment as command chief warrant officer, she served as the deputy human resources officer, Personnel, Joint Forces Headquarters. A chief warrant officer 5 is a master-level technical and tactical expert who performs the primary duties of technical leader, manager, integrator, advisor, or any other particular duty prescribed by branch. A CW5 provides direction, guidance, resources, assistance and supervision necessary for subordinates to perform their duties. “I will say that I am so blessed to have been given this opportunity to be the command chief warrant officer of the state. 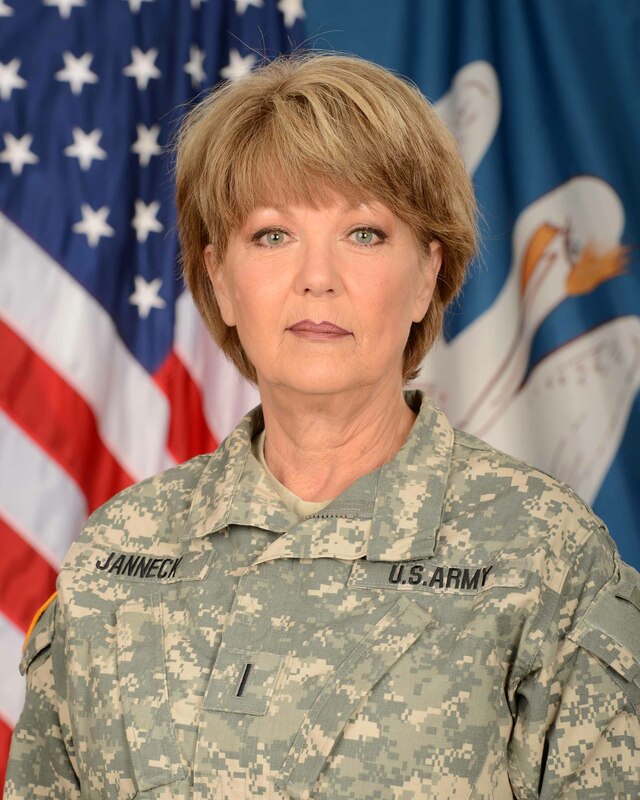 I am so proud to be in this position and will truly, truly miss every single person associated with the Louisiana National Guard, and I will miss this family … I am definitely leaving home,” said Janneck.